The Western Cape is home to some of the best and most beautifully scenic hikes in the world but for those less experienced in the hiking world the task of choosing a suitable trail can be daunting. 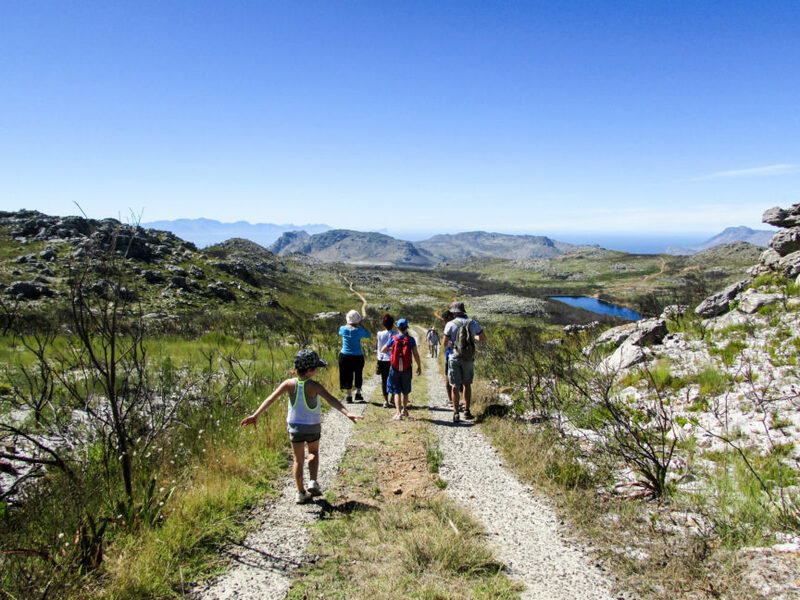 Luckily the Western Cape has a good selection of hikes with various intensity levels and you can start out with some of the well-known easier routes to get that hiking bucket list started. 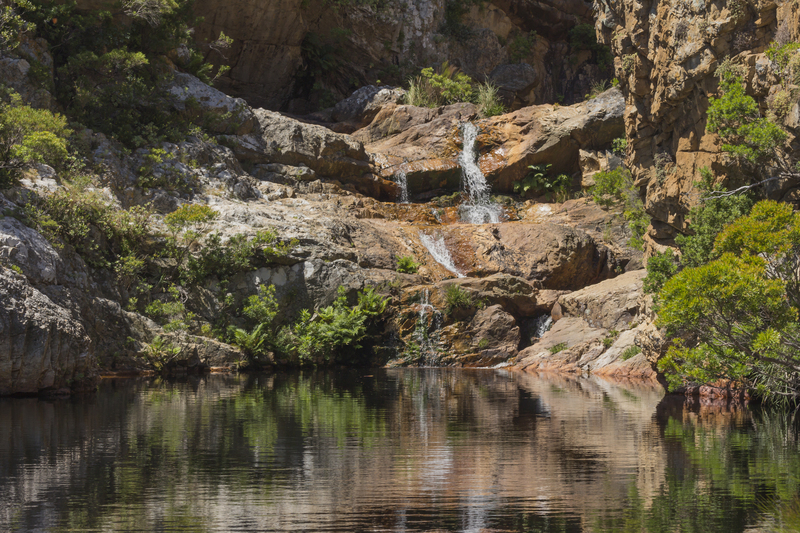 Forming part of the Steenbras Nature Reserve in Gordons Bay this popular hike follows the Palmiet River up a gorge that leads you to a series of five mountain pools. Don’t forget to pack your sunscreen, hats and water for this one as the hike up leaves you exposed to the elements for most of the route but it is so worth it as you’ll reach natural amber pools perfect for cooling off. Anybody who is moderately fit will be able to complete this 8km hike and it will take roughly 90 minutes to reach the first pool. Make sure to arrange this one ahead of time as permits are required to enter the reserve which are R60pp. For more information click here. Crystal Pools. Photo Credit: Ramon- Flickr. 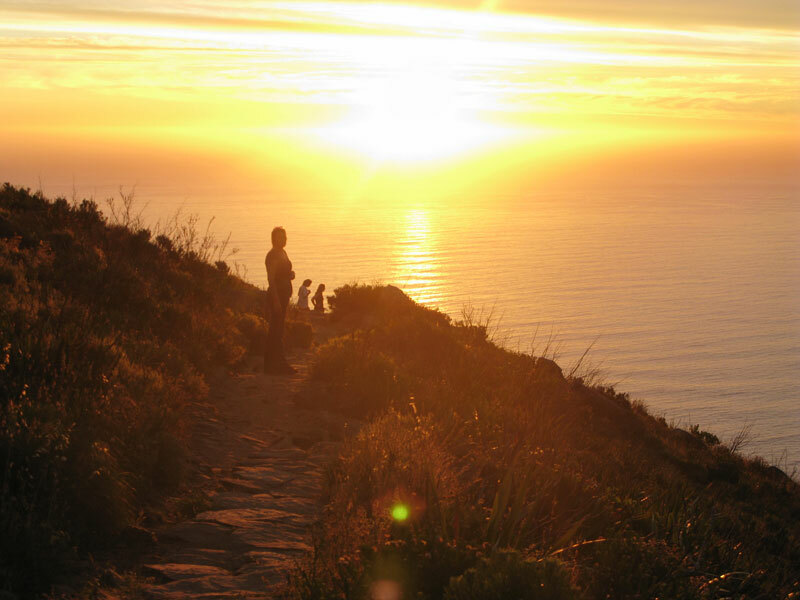 Firstly the Upper Cableway Station to Maclear’s Beacon Walk takes you to the highest point on Table Mountain. To get there you can take the aerial cableway while enjoying 360 degree views of the Mother City. Once at the Upper Cableway Station, take the main path leading to the diagonally opposite corner of what is known as the Western Table and follow the plaques to Maclear’s Beacon. This 5.5 km route will take you 45 minutes to an hour to reach Maclear’s Beacon on fairly easy terrain over the relatively flat plateau of the mountain. The second route takes you up the popular Skeleton Gorge which is a lot less scary than it sounds. 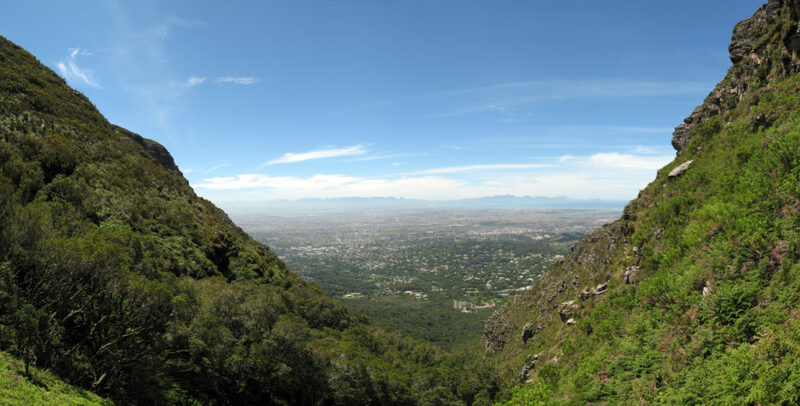 Otherwise known as The Smuts Track, this hike starts out at Kirstenbosch Botanical Gardens before reaching Skeleton Gorge. The Gorge may be steep but not particularly difficult in any way as all that’s required is the use of steps and ladders. From indigenous jungle to fragrant fynbos and amazing mountain top views the estimated four hour climb to the top is so worth it and once finished you can always take the cable-way to the bottom. Skeleton Gorge, Table Mountain. Photo Credit: Damien Du Toit- Flickr. Lion’s Head has been a long-time favourite for Capetonians and visitors to the city and its just one of those bucket list items that everyone should tick off given the chance. In the heart of the Mother City this trail begins from the parking lot on Signal Hill and should take you roughly an hour to 90 minutes to reach the top for those Instagram-worthy pics. The route is easy to navigate and will take you on a steady ascent around the mountain and to the top. Some climbing and ladders are involved but nothing too strenuous. Definitely well-known for sunset and full moon hikes, it’s best to hike up just before sunset and watch the golden glow fall on the city before making your way down by moonlight, just be sure to bring your torches. Lion’s Head Hike. Photo Credit: Sandra Mallinson- Flickr. The best starting point for this delightful trail is The Silvermine Nature Reserve which you will find on Ou Kaapse Weg Road. It’s the perfect spot for a little picnic or to cool off in the Silvermine Reservoir pre or post hike. Silvermine does have an entrance fee so be prepared for that but once there the signage will keep you well informed about the route to take. Most of the hike will see you walking up gravel roads and gentle inclines making this quite an easy option for novice hikers. The views of the peninsula are stunning and you will find yourself stopping at view-points fairly regularly so be sure to factor this into your hike time. The mountain is in the process of recovering from a recent devastating fire, but the emergence of new life into the flora and fauna is beautiful to see. Of course the best views will be seen from the Elephants Eye Cave getting its name from its perfect position on this mountain resembling the head of an elephant. Overall the hike will take you about 2 hours. Hiking Elephant’s Eye, Silvermine, Cape Town. Photo Credit: Jbdodane- Flickr.